Welcome to a new edition of our newsletter, just a couple of days after Arianespace 100th Ariane 5 launch (VA243)! The Ariane 5 launcher has, with his different variants, a long history, since its first launch in 1996: recently many other launchers have been deployed and there is currently an healthy competition in the segment of space launchers, for the heavy-lift market in particular. Occasionally, job offers and public policy issues will be posted (like for this newsletter, please see below). After the FP7 and the H2020 research and innovation programs, the Commission is making preparations for their succesor, Horizon Europe with 100 billion € funding. Some have looked closely to the Commission proposal and made some estimates, noting that the proposed budget falls short of the 160 billion € that are supposedly needed to adequately fund research and innovation in the coming years with all the new challenges of a changing world. ...We urge the European Parliament, the Council of Ministers and the European Commission to create the needed step change in budgetary commitment for Research and Innovation, by moving from the current 100 billion € target proposed for the next 7-year Financial Framework period to 160 billion €. The method chosen to transmit these and similar worries to the Commission is to sign a petition. We encourage our readers to visit the links above and to sign the relevant petition if they share these views. Please stay on alert: the call for papers of the July 2019 conference will be sent to you very soon. Ercoftac is organizing a High-Fidelity Industrial LES/DNS Symposium "Paving the Way for Accurate CFD", a 3 days event in Brussels (see venue here) the 14-16 November. Both Eucass and Euroturbo partner with Ercoftac in the symposium preparation and contribute sessions. With the advent of large scale computing power and facilities, a new area of turbulence research is opening with the ability to perform reliable high-fidelity large-eddy simulations (LES) and direct numerical simulations (DNS) for industrial relevant flow configurations. Confronting available turbulence and transition models, identifying their deficiencies, improving the range of validity of current models and generating new ones. 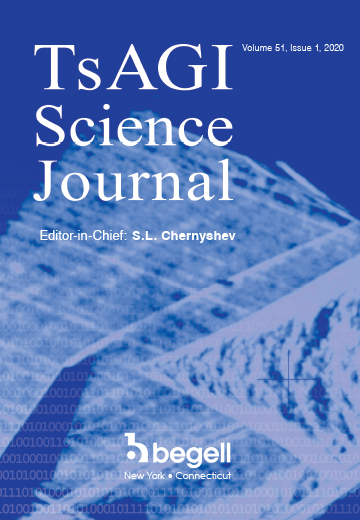 Recently we did not review this journal: it is the occasion to remember the last 3 issues. Zvegintsev, V. I. and Potapkin, A. V.
Cai, J.-C. and Pan, J. and Kryzhanovskyi, A. and E, S.-J. Zinchenko, V. I. and Gol’din, V. D. and Zverev, V. G.
Abdurakipov, S. S. and Dulin, V. M. and Markovich, D. M.
Jedsadaratanachai, W. and Boonloi, A.
Javed, T. and Siddiqui, M. A. and Mehmood, Z.
Sleptsov, S. D. and Rubtsov, N. A. and Savvinova, N. A.
Bouazizi, L. and Turki, S.
Vasil’ev, E. N. and Derevyanko, V. A. We introduced a few newsletters ago this open access journal on research on Turbomachinery. The latest articles published are reported below for your convenience. An interesting, non paywalled, summary report about Industrial Innovation: Aerospace & Defence Manufacturers can be found at the patsnap website. The summary report, while relative to the 2013-2015 period, can give some interesting insights to the evolution of patents applications and the main field of research. While this report is more biased towards the USPTO, identified some trends that should be the same across the world, like certain interest in the G01S sub-classification (radio-direction findings). Therefore, the following patents have been selected from the EPO database using the following criteria: "PUA12 >= 20180101 and IPC=G01S" and selecting a few interesting patents in our field. In this case, this means all patents whose A1/A2 documents both have been published after January 1, 2018. Since patents can be filed towards different organizations, sometimes the data available in the EPO database (the version available for free online) is not the most complete. In that case an external link is used.